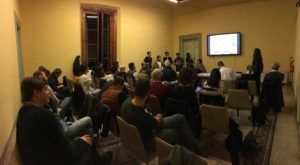 On Friday November 9th, an international seminar was held in the hall of the SAGAS department at the end of the international workshop “Everyday geographies of public space: Imaginations and practices in Florence”, promoted by LaGeS in co-participation with KTH Royal Institute of Technology in Stockholm. Prof. Eamonn Canniffe (Manchester School of Architecture) opened the seminar presenting the regeneration process in Manchester through the 7 places of what was called by Faucher “Bentham’s Utopia”. 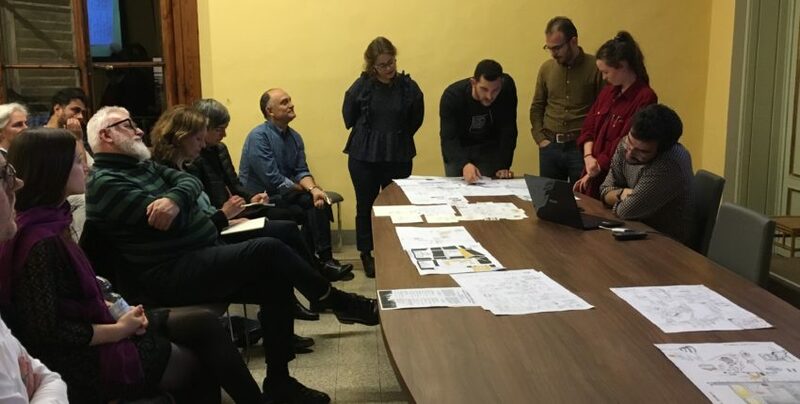 After this intervention, Orla McKeever, Cork Center for Architectural Education, has analyzed the transformations that have taken place in recent years in the “conflict” spaces in Northern Ireland. Geographer Giulia de Spuches addressed the theme of the “haunted geographies” in Palermo between memory and re-signification of public spaces. Then Sabine Knierbein (TU of Vienna) proposed a re-reading of the critique of everyday life in the cities for a study of living spaces, starting from the work of Lefebvre. In conclusion, Toby Neve recounted the possibilities for dialogue between new artists and classic realism in the city of Florence.